THE DEAD ZONE tells the story of Johnny Smith rebuilding his life after four years in a coma. A lot of things changed in that time. Johnny’s mother became obsessed with the idea that God has a plan for Johnny, which put a huge strain on her marriage and affected her health. Johnny’s girlfriend moved on. And as if that wasn’t enough, his coma has unearthed a supernatural talent; when touching a person, Johnny can see their future, though not all the details – there is a ‘dead zone’ in his mind that restricts his ability to see everything clearly. Even so, this partial ‘gift’ coupled with four lost years is enough to change the trajectory of Johnny’s life forever. Most of the novel deals with Johnny’s struggle for normalcy. He does his best to ignore his ability – but when all it takes is a gentle touch, it’s impossible. 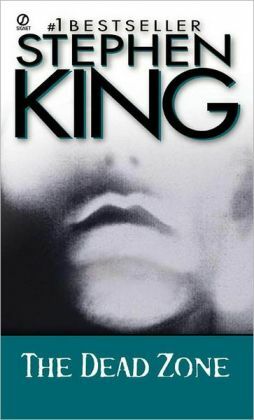 THE DEAD ZONE reads at a gentle pace, allowing King to flaunt his wonderful prose, with a real focus on character. He notches up the tension and develops a sense of inevitability with periodic shifts in perspective to Gregory Stillson, a devil-incarnate Presidential candidate, a psychopathic killer targeting young women, and a lightning rod salesman. All of these characters and their actions eventually coalesce in the THE DEAD ZONE’s most dramatic moments – with the Stillson confrontation serving as the grand finale. Most of THE DEAD ZONE’s narrative feels organic despite the predestined conclusions seasoned readers will anticipate as new characters and elements are introduced. But it falters in its final act. The Johnny / Stillson confrontation feels manufactured and slightly tarnishes what has come before it – but not enough to ruin the overall experience. Not quite vintage King, but awfully close.